Oak's striking grain patterns are highlighted beautifully by the deep Nutmeg stain. 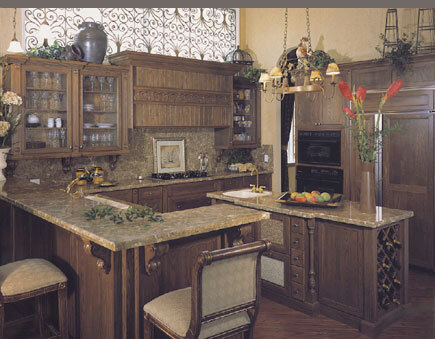 Accented by a functional yet beautiful island, this kitchen gives a lived-in feeling with a touch of class. The dramatic crown moulding adds a finishing touch and draws your attention to the exquisite custom hood.